Raised in Brazil, Claudia Fernandes and her son take on the advocacy and education of others in human rights in her native country of Portugal. Born in Portugal and raised in Brazil, Claudia Fernandes grew up among people of many cultures, which shaped her outlook on life. Her mother inspired her to volunteer, and she developed a passion for serving others. She has lived in seven countries, which further expanded her acceptance of different viewpoints. After a university education in Portugal, she moved to the US. After she and her son attended the 2016 International Human Rights Summit in New York, she was inspired to do more with YHRI. She moved back to Portugal and started a human rights project under the local Porto area government in the north. The purpose was to promote equality and non-violence in schools. 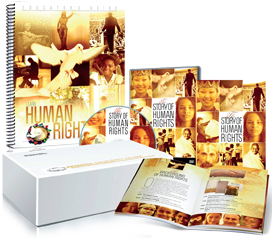 The project included school seminars and human rights events. She now has the green light to train teachers so they can continue the delivery with their students. “If you can manage to teach children well enough, you can change the future,” Claudia concludes. I would like to use these materials to cover each human right in-depth with my ninth grade Social Studies class. I like the posters for visuals and the different lessons that are available. I feel my students would benefit greatly from this resource. I’m 21 years old and studying law. Since I was 18 years old, I have worked as a volunteer with international NGOs. I met people from many countries and I always shared with them data about human rights and respecting differences. I believe that education is the way to change the world for the better. I would like to be a teacher and help people to make a difference. 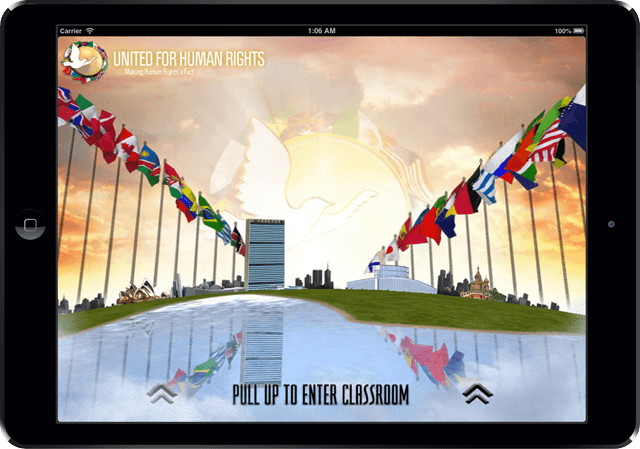 I can see with United for Human Rights the possibility to help high school students understand their rights and assimilate them to develop critical thinking. Our focus is fighting for the rights of children and youth. After doing research, we noted that most Malawian youth and children are exposed to human rights abuses such as child labor, not being offered medication when sick, child marriages, torture and other cruel, inhumane treatment. We would therefore like to partner with you so that we can learn more about youth and children’s rights. Please send me copies of the What Are Human Rights? booklets for each of my kids. I have about 180 students and I think this is a great take-away from the lessons we are teaching. I plan to meet 50 youth from my community, play the videos and deliver the curriculum you are providing.